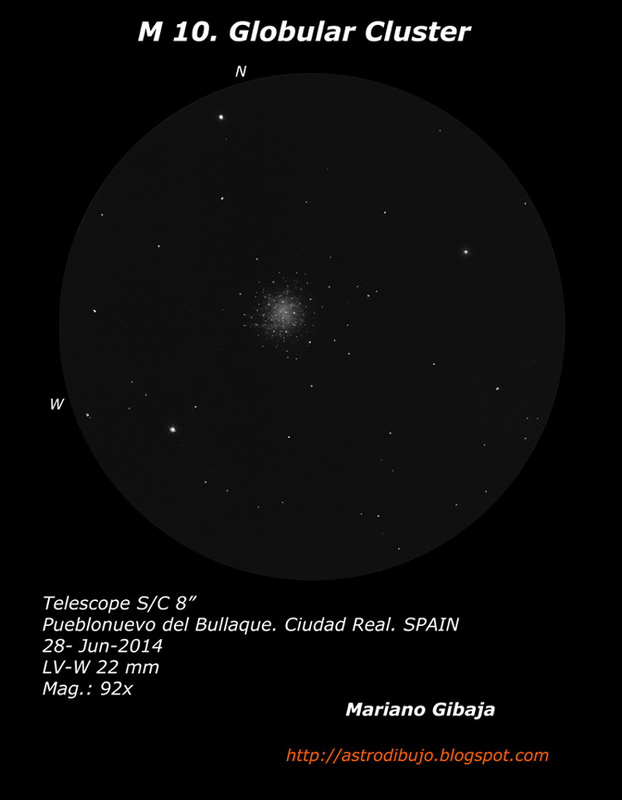 Messier 10 a globular cluster in the constellation Ophiuchus. Description: B, vL, R, gvmBM, rrr. Material used: graphite pencils on white paper. Image processed with Photoshop. Condition: NEML: 5’8 (Zone 14 Cygnus); Temperature:13 º; Calm wind. Impressive work on M 10. Nice rendition of a cluster. It’s hard to do, and you did it perfect. Chippingdale, Jean-Marc, Frank, thank you very much for the comments.